The Member Musings section of our blog is written by church members in the hope of encouraging you to see all of life through the lens of the gospel. Today we hear from Kim Lee as she leaves for Uganda! Kim will be in Uganda from March 2014 through March 2015. Please pray for her! This post originally appeared on Kim’s blog a few weeks back as she was making preparations for leaving today! So…I’ve been meeting up with a lot of people. I am blessed in so many ways by these hangouts. Not only am I given the joy in meeting up with my friends but it gives me time to reflect on my life because of the questions asked about life & about missions (How & why I decided to go on missions, why Africa, why Uganda, how did I get to this point, etc, etc…). This, in turn, allows me to think about God’s goodness and faithfulness. THANK you friends & hangouts. I’m thankful for these questions because it has helped me remember how God’s plan is wonderful and good. How He is sovereign. How He has definitely planned every step/instance/situation in my life in preparation for this year in Africa (and who knows what else!) Recounting my story in how I got to this decision gives me peace & I have no doubt that this missions trip is where God has placed me to go right now (unless He shows me otherwise of course). So how has God prepared me for Uganda? Since I was younger, God has placed on my heart compassion for children, especially children who are hurting and have had difficult lives; children such as orphans and foster care children. My desire for these children were to bring these children hope and help them find joy during the hard times in their lives. God, thankfully and repeatedly showed me through various situations with children who were hurting and through my own life that the one thing anyone needs is Christ, not worldly counsel or possessions’, but a relationship with Jesus Christ who will give them true hope and true joy. Throughout high school and college, God was working in my heart a love for missions and the importance of missions, mission field, and missionaries. Through these missions trips in high school (winter missions trips to rural areas in NorCal to work with children) and in college (a trip to China) He showed me the need to reach the lost with the gospel and how we, as Christians, are all called as missionaries (whether local or abroad–wherever we are!). Throughout college God also gave me a heart for medical missions. As I studied to become a nurse, the one thing that gave me strength as I struggled with the craziness of nursing school was the excitement to see how God could use me as a nurse to reach out to people physically, emotionally, and spiritually! I was excited for the opportunities He would give me as a nurse! Also, I secretly made it my goal to want to do medical missions for a couple of weeks when I finished nursing school (but wasn’t sure if it was possible and honestly had my doubts that it would happen). Anyways, I was trying to figure out what God wanted me to do with those desires. I always thought God wanted me to go short term to China to reach out to the orphans as a nurse. Nope. Not His plan. Who knew I’d be going to Africa?! I NEVER thought I would be going to Africa (it honestly never crossed my mind–I always thought Africa was for other people & was excited for them but never thought of going to Africa myself) but then God happened (well He was happening throughout this whole time) and He used a missions trip to Kenya to show me! A member from Lighthouse church (Mitchell) asked our young adult group if anyone was interested in going to Kenya to serve the Beloved International Homes ( an organization dedicated in bringing orphans the hope of spiritual adoption into God’s family through the gift of physical adoption by Christian Kenyan parents/homes). After much thought and turmoil (I committed to going to Thailand before this & I really wasn’t sure about Africa) I decided to go! I wanted to see what God would show me and if this “compassion for orphans/foster care children” was really something that I wanted to pursue. I wanted to see what God would do through this trip. Kim with the Kenya Team last year. Photo by Carolyn Woo. It isn’t just a desire to want to play or be there for these children (although that’s a HUGE bonus for me) but a desire for these children to know Christ and share in the hope we have in Him so that they too could be adopted into God’s family and grow to be women and men who love and fear Christ and further His kingdom. He affirmed my desire in wanting to serve these children and made me think of ways I can do so. When I got back home to SoCal, after much prayer and counsel (more turmoil with deciding), I decided I wanted to GO and serve these orphaned children for a longer period of time. God gave me this desire to go to Africa, gave me the perfect timing to go (nothing was physically holding me back from going), and He made me the way I am (personality, desires, and all) making it the perfect opportunity to go and serve at this time. As I was pursuing mission organizations–I focused specifically on going back to Kenya. Through a friend of a friends reference & emailing administration of a school in Kenya (RVA) for opportunities, I was led to Africa Inland Missions (AIM). AIM found me a position in Kenya to work as a public health nurse with orphans (I would travel to different cities and villages to teach and assess the health needs of children and other people). I was going to take this position but throughout the “waiting” time I started researching all of Africa (via AIM’s website and videos) & God was breaking my heart and opening it to be open to anywhere in Africa. I decided to see what other opportunities were out there throughout Africa and not say “Yes” to the opportunity in Kenya just yet. ​That is when God opened the door to Uganda. One of AIM’s short term coordinators, Stephanie, sent me an opportunity that Good Shepherds Fold, in Jinja, Uganda, was looking for a nurse to work and live at the home for orphans. PERFECT opportunity for me because while I was thinking about Kenya’s mission opportunity, one thing I wished that that opportunity had was the ability to live with the orphans. I desired to stay at the orphan homes so that I could minister to these children and build relationships with them by living with them. 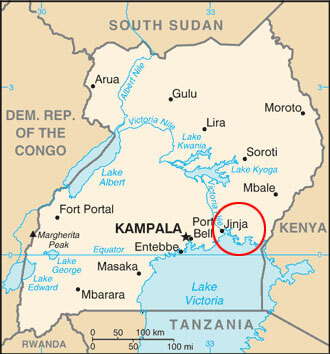 After much prayer & counsel I decided Uganda because I would be able to live there & minister to them as a nurse! 2) I felt peace & joy in going to Africa because I knew that anywhere I went I would find joy in serving the children that God placed in my life. 3)After much research in Africa my heart grew for the lost there. So that’s the long story short in how I got to this area in my life. It’s funny (in the crazy way) how God orchestrated in my life His sovereign plan to give me perfect peace in “Why & how Africa”. (I know I will still have questions and doubts– but that’s why I have this post to remember His sovereignty and direction in my life!). I’m not claiming to understand everything God is doing in my life, nor do I know half of what He is doing at times, nor am I saying I am perfect in seeing His will for me (because I am not and fail ALL the time), but it’s been awesome recounting His goodness and sovereignty (in what He has allowed me to see in my life) in how He provided and led me to Africa. I know I still have LOTS and LOTs of questions, some that may not be able to be answered now, but remembering his goodness reminds me that I can trust and rest in Him and know that He is in control and sovereign over my life. Recounting His sovereignty in my life is helpful in me seeing How faithful and good He is and how everything has a purpose for my good and for His Glory. God is good. When my faith and trust wavers. Please REMIND me of His GOODNESS & Sovereignty. Prayer Request: I’ve been thinking about how I am SOOO not a morning person. Please pray for strength, rest, and cheerfulness as I probably have to wake up early (@ least I think earlier than work here…). Haha, I know, very interesting prayer request but it’s something I’ve been thinking about a lot. I want to serve with a joyful heart and not let waking up early affect my attitude in my ministry! 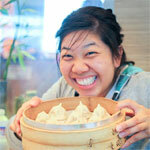 Kim Lee is a nurse who will be working in Uganda for Good Shepherd’s Fold for the next year.